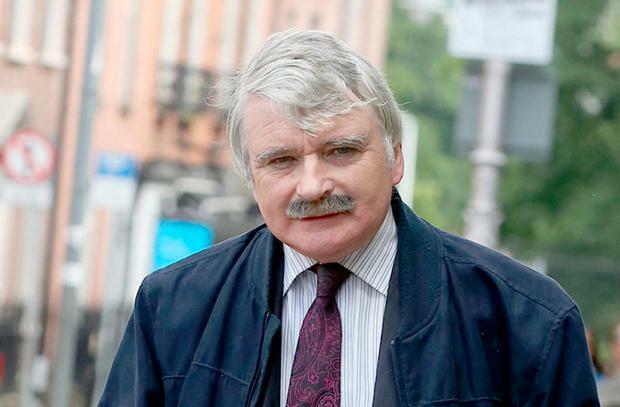 PENSIONERS could be in line for another €5 increase in the State pension as Fianna Fáil TD Willie O’Dea breaks ranks with his party to demand Fine Gael raises welfare payments in the Budget. With dissent growing within Fianna Fáil, Mr O’Dea has decided to ignore the instructions of his party leader Micheál Martin and demand a “fiver for all”. He is publicly calling for every welfare payment, apart from the Jobseeker’s Allowance, to be increased next year. The move will put huge pressure on Mr Martin, who has specifically told Mr O’Dea to privately pitch his policy proposal to Fianna Fáil’s budget negotiators, Barry Cowen and Michael McGrath. It will also cause a major headache for Finance Minister Paschal Donohoe, who is battling to limit expectations after the Independent Alliance demanded the €1,000 ‘grandparent grant’. Social Protection Minister Regina Doherty has played down the prospect of a €5 increase on welfare benefits as has been the case in the past two budgets. However, Mr O’Dea said he would be “very slow” to support a Budget that did not include a €5 pension increase. “For the vast majority of pensioners, their main income is their pension,” he told the Irish Independent. The Limerick city TD said he would also be seeking a €5 increase in benefits received by widows, carers, lone parents, and the sick. He will not be seeking increases in the Jobseeker’s Allowance. Mr O’Dea said household inflation is increasing by 3pc a year and a €5 increase on welfare benefits would only result in a 2.5pc rise in income for recipients. “It would be unacceptable if a person in the autumn of their lives saw their income cut next year,” he said. “If we can afford tax breaks for landlords and tax cuts, then surely to God we have a duty when we have the fast growing economy in Europe to at least maintain the income of the poor and vulnerable. If you put €5 on the pension, it’s only a 2.5pc increase in income,” he added. Fianna Fáil finance spokesman Mr McGrath said there would be a social welfare package in the Budget but he insisted it was “too early” to suggest what the party is looking for. “We will start engaging with the Government over the next number of weeks. “Those priorities will include investment and frontline public services, better services for people with disability, and more direct building of housing but there will also be a social welfare package,” he said. Mr O’Dea believes a €5 increase in welfare benefits would cost the State around €230m if it was applied from March next year. Ms Doherty has suggested increasing all payments for a year would cost €345m. The Government has around €800m for new spending measures across all departments Mr O’Dea’s demand is in direct defiance of Mr Martin’s instruction to TDs that all budget suggestions should be made directly to the party’s budget negotiators. Mr O’Dea is among a growing number of Fianna Fáil TDs who are openly defying their party leader. Louth TD Declan Breathnach announced he would support ‘Dragons’ Den’ star Gavin Duffy for the presidential election, despite the party’s position being to back the incumbent, Michael D Higgins. Carlow-Kilkenny TD John McGuinness has called for the party to put forward a candidate for the presidential election which is due to take place in October. Galway West TD Éamon Ó Cuív is also refusing to comment on speculation he is considering a run for the Áras.